Slitting and Rewinding has become Hydra-Matic’s most exciting and fastest growing department. Our Slitting and Rewinding department has numerous industrial state-of-the-art unwind slitting machines equipped with technology which allows us to convert material at high speeds and produce quality reworked material with tremendous accuracy. Material can be slit to custom specific widths and lengths onto a range of core diameters. All of our products can be slit to your required width. Material can be offered in standard roll length specializing in fiberglass and non-wovens. Hydra-Matic has crush cut and shear cut capabilities based on our customers desired specifications. Hydra-Matic also has equipment which is capable of log slitting material. Log slitting is a process where material is converted as a whole and one or more slices can be taken from the original roll without the unrolling or unwinding process. We are a leading material slitting and rewinding service. Are you looking for slitting and rewinding companies or material slitting services? We excel in material rewinding services. We rewind and unwind material conversion while rewinding and unwinding material. Material die cutting services are integral for industrial manufacturing. Are you looking for material die cutting companies or material die cutters? We also perform steel rule die cutting, fiberglass molding, fiberglass fabrication and industrial sewing services. Industrial sewing companies and industrial lamination services are a specialty. Our industrial lamination companies provide glidwall glass wall liners and stran-mat products. 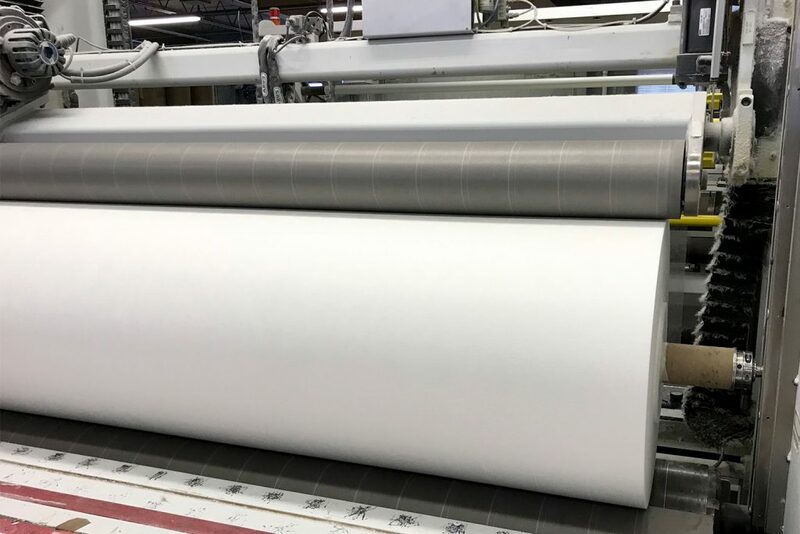 Slitting and rewinding non-wovens, rigid foam, flexible foam, non-metallic materials, synthetics and slitting and rewinding fiberglass are core services. We also provide crush cut slitting, shear cut slitting, shear slitting, scissor cut slitting and bologna slitting. We manufacture products to fit your requirements. Let us contact you to learn more. Hydra Matic, Inc. is an industry leader in the fabricating, slitting, warehousing and distributing of industrial fiberglass products for numerous industries. 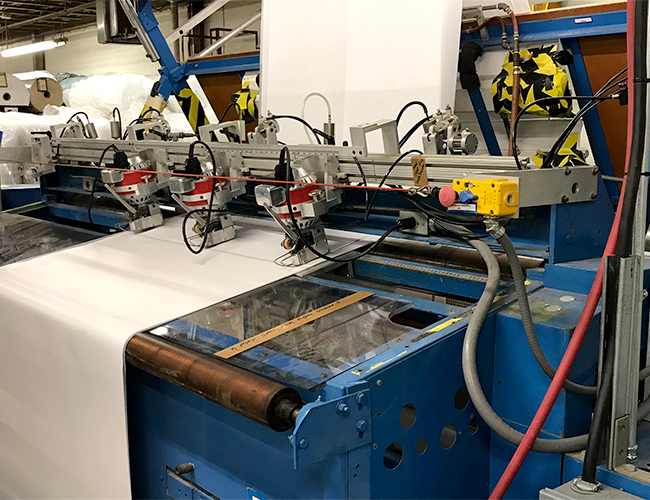 We specialize in slitting, saw cutting, die cutting, laminating, assembling and more for the specialized filtration, industrial battery, health care, stationary battery, acoustical panels and insulation for industrial appliance industries.